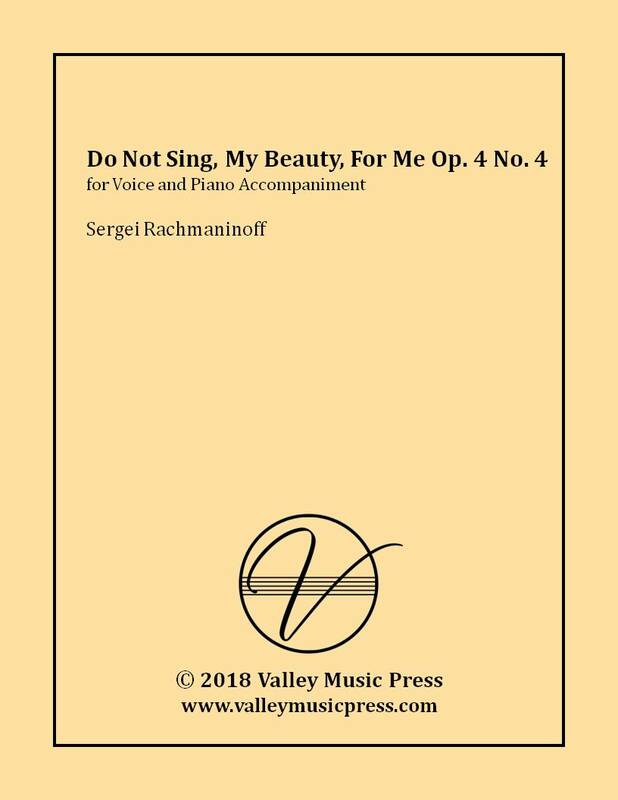 Sergei Rachmaninoff's Do Not Sing, My Beauty, To Me Op. 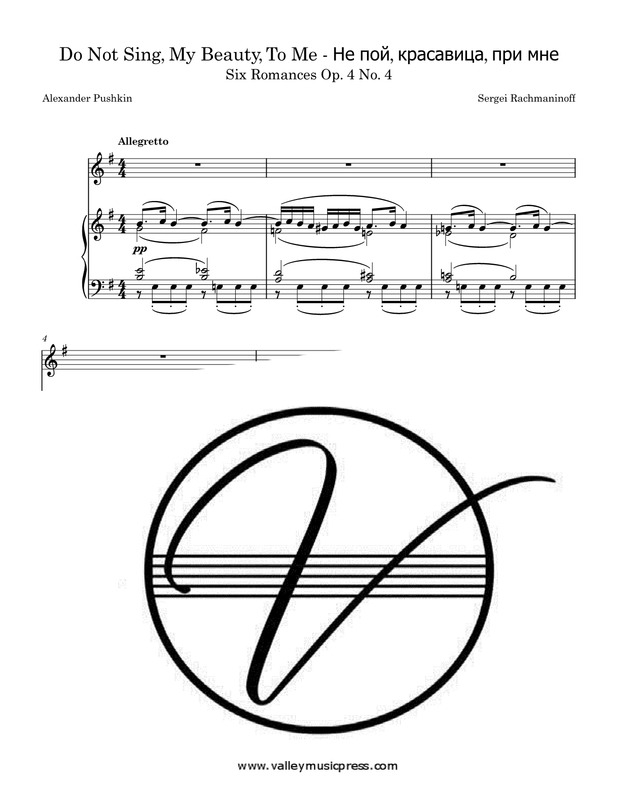 4 No. 4 from Six Romances available here in numerous transposed keys (voice in treble clef). If you need the vocal part in another key, octave or clef, please let us know!